To establish, maintain, and operate a non-profit association of breeders, owners, and friends for the promotion and preservation, in the Western Hemisphere, of the warmblood horse of Trakehner origin. To maintain a public registry of Trakehner horses. To mark, or brand, approved stallions, mares and foals with the Association's corporate seal. To disseminate information to breeders, owners and friends pertaining to the breeding and raising of Trakehner horses. To promote the performance of the Trakehner horse in dressage, three-day eventing, hunting, jumping, driving and other sporting disciplines. To encourage a public understanding of the Trakehner horse, its breeding and performance. The Association is committed to the selective breeding standards established in Trakehnen, East Prussia, in 1732, and being continued today in Germany. "... to encourage the development of a riding horse of beauty and harmony, great endurance, mental and physical balance, and possessing an excellent character." 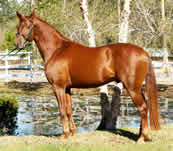 By advocating selective breeding standards, maintaining a public registry, and encouraging the use of Trakehners in public equestrian activities, the Association expects to enhance the propagation of the horse in America for the benefit of the public. Inspections are required by the ATA Corporate Regulations to transfer horses into the Official Stud Book of the ATA. Upon approval both mares and stallions are recognized by the German Trakehner Verband and mares are automatically approved for the Verband Main Studbook. Stallions will also be approved for the Verband Studbook if they complete the performance requirements for the Verband Studbook. Inspections serve to maintain minimum quality standards for the Trakehner breed. 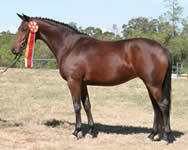 Inspections inventory the ATA breeding stock and recognize superior individual horses. Inspections help educate members on conformation, movement and serve to help members objectively evaluate their breeding stock. Inspecting your horse provides confirmation of how well your horse fits the Trakehner ideal which may be helpful in marketing and selling your horse. It also allows your horse to be entered into the appropriate Stud Book for breeding purposes. 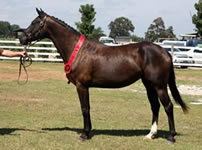 Many prospective buyers of horses are interested in a horse's individual registration status.